Next125 is a German kitchen manufacturer that is always one step ahead and offers stylish yet functional kitchens. Their dramatic finishes and ground breaking ranges allow us to attain the highest in kitchen standards for our projects. If you want to create something quite different and unique in your new kitchen - then take a look through the Next125 range. Perhaps you are looking for a concrete look or a dramatic splash of colour? Next125 may well be ideal. There are an almost endless range of space saving inserts available that mean you can really create a place for absolutely anything when using Next125 kitchen units. At Moiety we place just as much focus on what you cannot see as what you can. Open any of our kitchen cupboards and you will find an array of drawers, pullouts, hooks, appliances, spice racks and a whole lot more. You can even hide your whole kitchen behind large doors that match your kitchen units. When it comes to kitchens and furniture design, many people still associate the Italians with having great design skills and, whilst there are plenty of good Italian kitchen companies, German made kitchens are the most popular ranges in the UK and that grows each year. This is not only due to the great design, but the amazing quality of manufacture and the huge choice of cabinet sizes which allows you to utilise every inch (or centimetre) of space in your home. Every kitchen that is supplied by Moiety is guaranteed too. The German kitchen carcases are extreemely strong and the veneers and lacquers are very hard wearing. 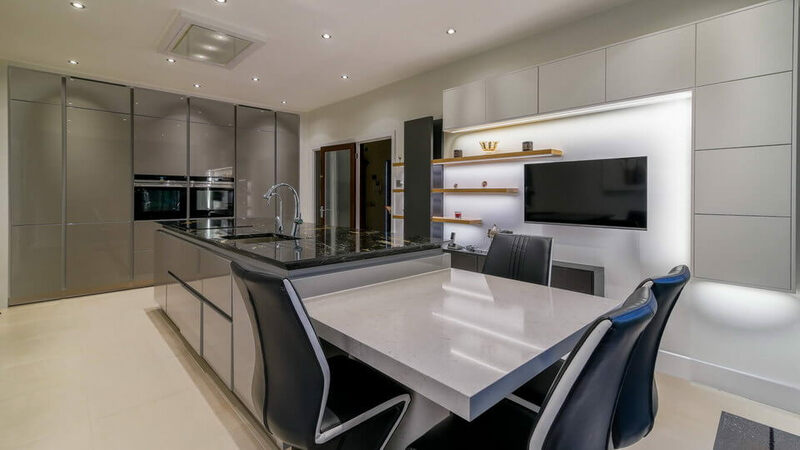 Buying a new kitchen can seem like quite a daunting project, but the team at Moiety have many years of experience and are here to help you through each step to ensure are smooth project from start to finish. Get in touch with us to find out whether a Next125 kitchen might be the right one for you. Call 020 8455-3226 to discuss using Next125 for your new kitchen.